I’m Buried in Books — What a Way to Go! I’m buried in books today. Surrounding me are piles of The Foreign Language of Friends as I ready them for book contests. Entry forms are accompanied by stacks of one, two, or three copies, depending on the requirements of the contest. It’s a busy time of year, with plenty of deadlines early on. I also got the crazy notion a few days ago to enter Blood & Loam into Amazon’s Breakthrough Novel Award contest. That means getting all the polishing done in the next few weeks, all while I have to leave my home periodically to let possible buyers parade through. I tell myself I must be crazy, but I have made it a rule to follow my intuition at all times, so I’m up for the challenge! On my iPad, via Kindle, I’m reading Twin-Bred by Karen Wyle, a wonderful sci-fi book. In Wyle’s fictional world, humans are cohabiting a planet with a species called Tofa, and prejudice and miscommunication abound. In a special project, human and Tofa babies are gestated in host mothers as twins, in the hopes that the special twin bond will help the two species learn how to bridge their differences. It’s a good read, and I especially love the scenes of the little kids as they start to grow up and play, acting like the little kids they are, and not the world saviors they’re expected to become. Karen is part of my online writing group, the Blooming Late gals of She Writes. If you’re a woman over 40, come on over and visit if you get a chance. There’s a lot of talent in this group! In addition, Julia Cameron’s new book, The Prosperous Heart, came out last week. Like her masterwork The Artist’s Way, the new book offers simple exercises to unblock us, this time from blocks to prosperity. Though the use of money is examined, this is more a book about feeling that sense of having “enough” in our lives. I bought it mainly because I want Julia to keep doing what she’s doing, but I didn’t think there would be much for me. I was wrong. These gentle but powerful exercises are already starting to unlock parts of my brain, giving me new and surprising ideas for marketing my work as well as the work of other writers who deserve to have readers find them. Though Cameron’s process is spiritual, it is also practical, which appeals to my active left brain. The book does NOT promote positive thinking, but rather positive action. As I go along, I’ll keep you posted on my progress with this 12-week program. Speaking of positive thinking, Barbara Ehrenreich, author of the laudable Nickel and Dimed, has written some not-so-positive things about the positive thinking movement that now pervades our workplaces, churches, and financial institutions in her book Bright-Sided: How the Relentless Promotion of Positive Thinking is Undermining America. In coming days, I’ll write more about this book, which I’m still “chewing” on. I don’t agree with all of it, but she makes some excellent points that are worth examining. Finally, as I promised last week, I’ll write more about Steven Pressfield’s The War of Art: Break Through the Blocks and Win Your Inner Creative Battles. Last week, when I wrote about my weight loss intentions for the year, some readers resonated with my fear of success. “Why do we do that?” a reader asked. Well, maybe we can figure that out. Pressfield’s book provides a great foundation for examining this block, which seems particularly difficult for women. Whether we’re losing weight, writing books, or have other goals, Pressfield’s advice can help us move beyond self-sabotage. At any rate, these and other books that I’m reading should make for some lively discussion. What are you reading? 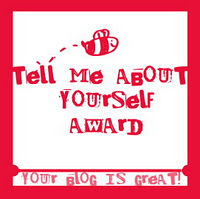 Wow, thanks, Jodi Aman of Heal Now and Forever, for the blog award! It’s always exciting to be recognized by one’s peers, especially by someone whose work I admire. Here’s the catch: To receive the award, I need to write seven things about myself. Seven? I can usually come up with one, especially when I’m trying to make a point, but seven feels monumental. I’ll give it my best shot! My first name is Beth, after a character in Little Women. I have a sister Amy, also named from the book. Of course, I also have other siblings NOT named from the book (John, Valerie, and Bryan), but I can’t explain that. I have Beth’s shyness and Jo’s bluntness, which don’t mesh well together. I stopped going by Beth at age 33 when I decided I felt more like a Nadine…whatever that means. I spent years on a spiritual quest and ended up converting to Judaism. I am not into the rituals so much, but I love the emphasis on ethics and integrity, and the concept of tikkun olam (repairing the world) is an integral part of my philosophy. I grew up in a blue-collar household, where I was taught a strong work ethic. This is where I get my populist leanings and start spitting nails when people speak of the working class as “lazy.” I would challenge any of these pompous politicians, especially one who thinks poor children aren’t being taught to work hard, to spend one day in the shoes of these Americans who give so much and receive so little. Oops, I’m getting political again! Ill health defined much of my childhood, and in my late 30s, I had Chronic Fatigue Syndrome for many years. These days I am strong and energetic, and I am grateful, grateful, grateful. This is why I am so into organic, local foods, gardening, yoga, and other forms of stress reduction. Every time I hike a mountain, I remember the years that I couldn’t. I hope I always do. I graduated from college at age 45. For years I didn’t admit that I wanted to be a writer when I grew up, so I would take classes, trying to come up with something else, ANYTHING else, that I could do. Finally I gave up and admitted that good or bad, I write, and I’m not much good for anything else. Because I was still dealing with the ill health in #4 above, I finished via “distance learning” from Eastern Oregon University in an accredited degree program. Better late than never! It was a proud moment for me. Julia Cameron is my hero. I found her book, The Artist’s Way, in 1997. I had always wanted to write but didn’t know how to get started. Within three weeks of practicing the principles in her book, I started to write, and I haven’t stopped. Her work, which focuses on unblocking creativity, also led me to start quilting, taking photographs, traveling, and more. I thank her not just for the writing, but for opening my life to adventure. A former co-worker started calling me Spa Woman because I love massages and facials, hot springs, and all other forms of pampering. I liked the nickname, so I use it online frequently as an alias. As part of accepting this award, I will pay it forward by recommending other great blogs — stay tuned! I will offer those tomorrow as part of my Thursday Books and Blogs entry. Thanks again, Jodi!